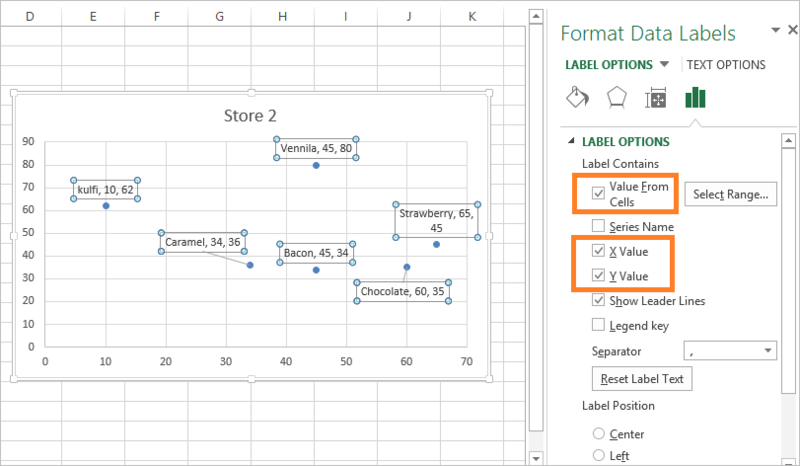 In this tutorial we will learn how to add a custom label to scatter plot in excel.Below we have explained how to add custom labels to x-y scatter plot in Excel. 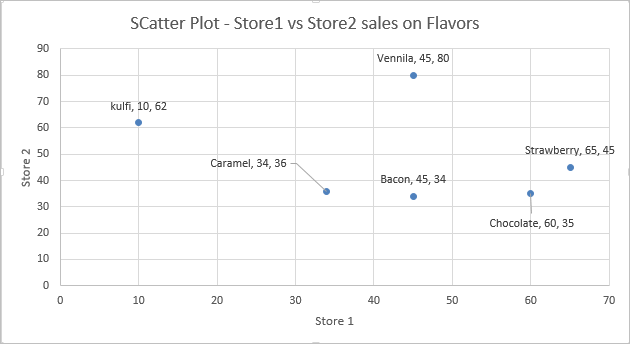 Data used: Sale of Different flavors of ice cream on Store 1 and Store 2. Step 3: Now we need to add the flavor names to the label. 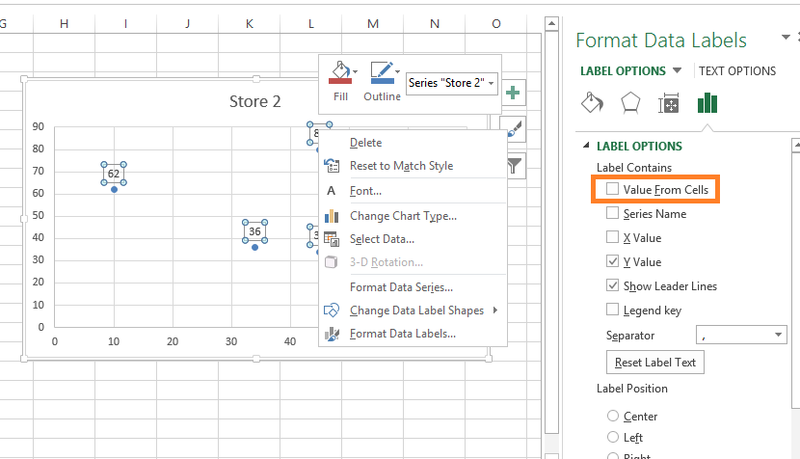 Now right click on the label and click format data labels. Under LABEL OPTIONS select Value From Cells as shown below. Example: Sale of vennila flavor on store 1 is 45 units and store 2 is 80 units.